Revolutionary, new energy absorber with the large weight range from 50 - 140kg (110 - 310 lbs.) that always withstands a maximum impact of less than 6 kN at a maximum absorber length of 1.75m (5.7 Feet). The final impact resistance of 22 kN, also in the absorber, before AND after a fall is exceptional as well. 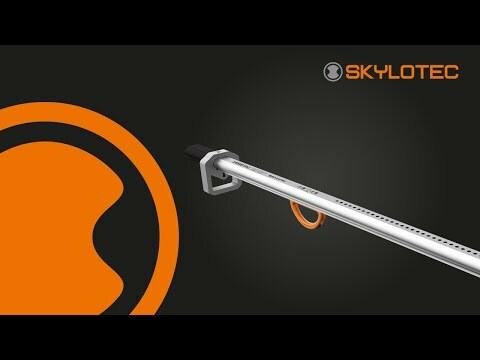 SKYSAFE PRO furthermore meets the most relevant international standards in one SINGLE product. UNIQUE: The built-in, adjustable RESCUE LOOPS! As a result, rescuers need not set up a rescue system and hereby save precious time in a rescue! Available in four versions with different carabiner combinations: I-web, Y-web, I-web tie-back, Y-web tie-back.